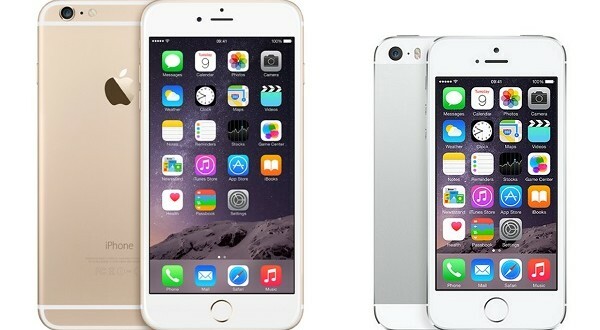 Home » Tech » iPhone 5S vs iPhone 6: is it worth the upgrade? Is the iPhone 6 a worthy upgrade to the iPhone 5S? 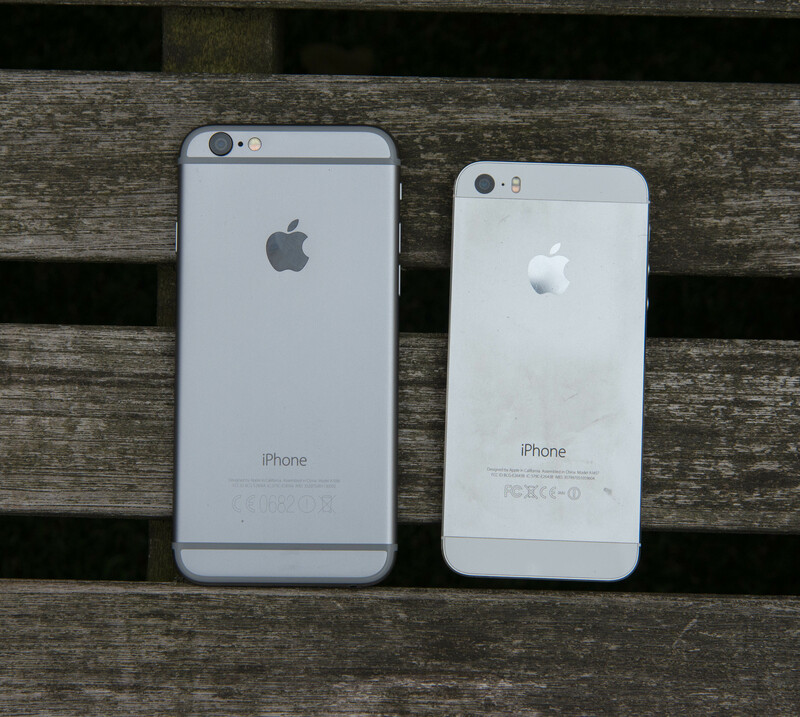 iPhone 5S vs iPhone 6: is it worth the upgrade? The iPhone 5S and iPhone 6 are two of the most popular smartphones at the moment, aside from flagships like the iPhone 6 Plus, Galaxy Note 4, Nexus 6 and LG G3. The two Apple smartphones we will be comparing this time around are representatives of eras of their own, while remaining in their own niches. Both the iPhone 5S and iPhone 6 aim to please those of us who would rather have a smaller display, bigger battery and a more user-friendly footprint. There is unquestionably a big difference between the iPhone 5S and iPhone 6, mostly to do with the timeline and release of each. The iPhone 5S is the representative of last year’s Apple, when the phablet-trend and selfie-trend haven’t taken a hold of people and OEMs. Apple’s flagship came as an upgraded variant of the iPhone 5 and was received with positive reviews, mostly, save for the occasional battery complaints or iOS incompatibilities. The iPhone 5S, as well as the iPhone 6 cater to people who would rather have a premium iOS phone and pay more for a durable product than an Android phones that is less spectacular. Apple kept its “premium” philosophy when launching both the iPhone 6 and iPhone 6 Plus on September 9, 2014 and greeted the new year with through the roof sales of both handsets it launched. The iPhone 5S is the older model in our comparison, as it was launched in September 2013. Apple is known for keeping its own ecosystem and traditions, and the iPhone 5S doesn’t stray from that. Aside from the obvious software upgrades of which it has benefited from upon its launch and upon the launch of iOS 8 alongside the iPhone 6 and iPhone 6 Plus, the iPhone 5S keeps the usual design of Apple products. You get an aluminum unibody chassis with a brushed metal finish and chamfered edges, as well as pretty thick bezels on the bottom and top of the phone. The iPhone 6 has improved on the design element, although many think that the antennae strips on the back panel of the device are distasteful; each to its own. The iPhone 6 has thinner bezels on the top and bottom and even thinner bezels on the sides, which makes a pretty attractive phone compared to the iPhone 5S. 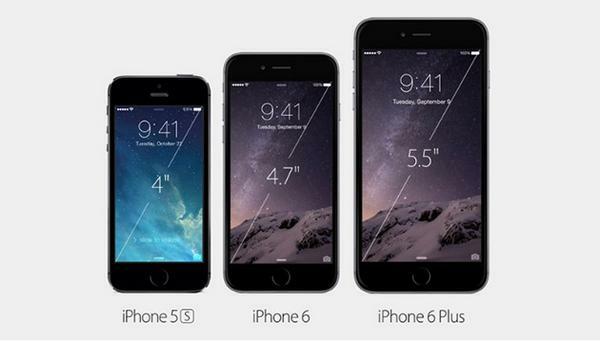 If you like awesome screen to body ratios, the iPhone 6 ranks higher in this respect than the iPhone 5S does. When it comes to size, there is considerable difference between the iPhone 5S, which measures 123.8*58.6*7.6 mm and the iPhone 6 which measures 138.1*67*6.9 mm. The iPhone 6 is taller and wider than the iPhone 5S, mostly due to the larger display Apple has slapped onto the device. 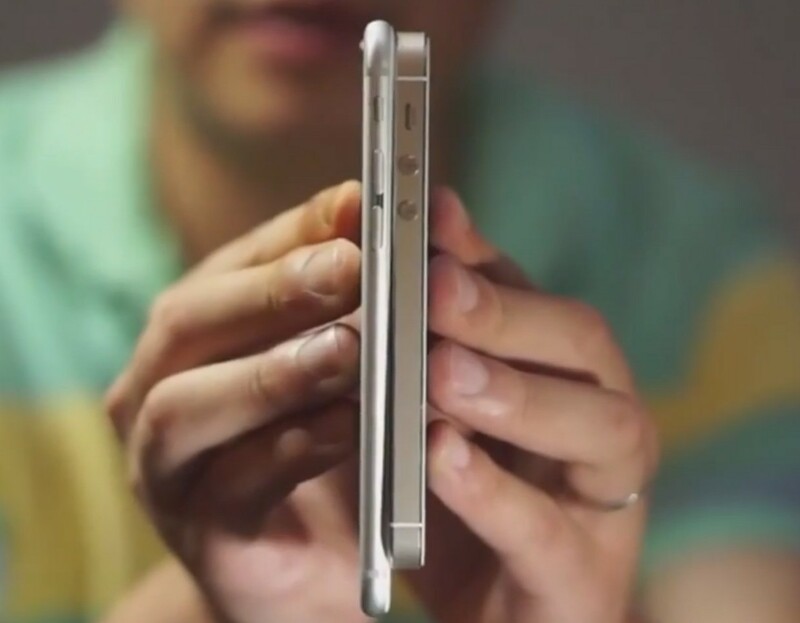 At the same time, the iPhone 6 is tangibly thinner than the iPhone 5S, yet it doesn’t feel as fragile as its bigger brother, the iPhone 6 Plus does. It certainly feels a bit more fragile and lightweight than the iPhone 5S (112 g), even though it is heavier (129 g). The rounded corners of the device do compromise grip a bit, but overall the phone is easy to handle and maneuver without constantly worrying about it slipping out of your hand. We can’t say the same for the iPhone 6 Plus, though. Display size influences the footprint of a phone quite a bit, which is why the iPhone 6 is considerably bigger and heftier than the iPhone 5S. Nonetheless, people seem to be fond of the larger 4.7 inch display on the iPhone 6. The iPhone 5S only came with a 4 inch display, which nowadays doesn’t seem like enough room for all the apps, games and videos we play on our smartphones. The iPhone 5S came wth a decent resolution of 640*1136, adding up to 326 ppi pixel density. When pixel density goes above ~350, the human eye cannot tell too much of a difference when it comes to quality. Yet, the iPhone 6 needed a bump in resolution due to the larger size of the display, Apple choosing a 750*1334 Retina resolution that adds up wo the same 326 ppi pixel density. The LED-backlit IPS LCD panel on both the iPhone 5S and iPhone 6 offer great viewing angles, outdoor visibility and immersive experience, as the touchscreen is extremely close to the display panel. The iPhone 5S came with iOS 7, which was a huge overhaul compared to its predecessor. iOS 7 is out of the picture, though, as once iOS 8 was released, the iPhone 5S received the update and subsequent updates in a flash. iOS 8 does look like iOS 7, to be fair, as the tweaks in the OS impact functionality, performance and features more than they do user interface. Nonetheless, iPhone users seem to be content with iOS 8, especially after iOS 8.1.2 was released, which fixed quite a few bugs and issues users of the iPhone 5S, iPad Air and iPhone 5C were having. Even though iOS 8 works just as well on both the iPhone 5S and iPhone 6, that doesn’t mean that the latter wouldn’t receive a hardware upgrade to stay up to date with the times. 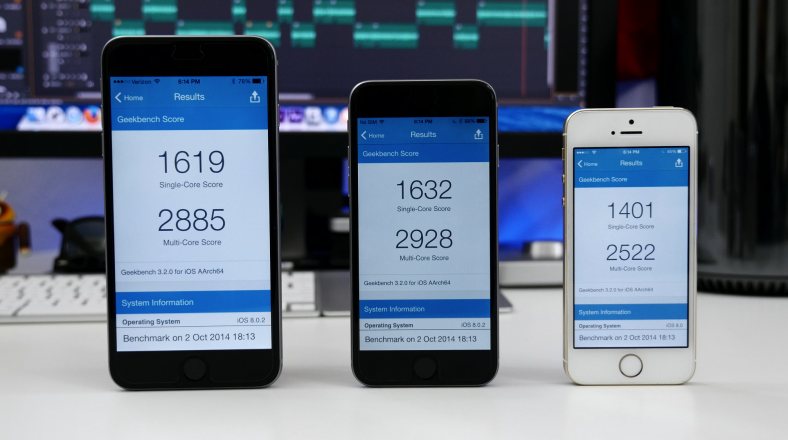 If the iPhone 5S specs uncover an Apple A7 dual-core CPU clocked at 1.3 GHz and backed by 1 GB RAM and either 16, 32 or 64 GB internal storage, the iPhone 6 specs go beyond them. The iPhone 6 comes with an upgraded Apple A8 dual core chipset clocked at 1.4 GHz and backed by the same 1 GB RAM and storage options, with one extra 128 GB option to choose from. Now both the iPhone 5S and iPhone 6 performance is nearly spotless, being capable of running everything you throw at them, the iPhone 6 seems to be more reliable and snappier when switching between applications. iPhone 5S performance isn’t lamentable, but you can clearly notice that it is a flagship from yesteryear and technology as well as software have evolved beyond its powers. That doesn’t mean that the iPhone 5S won’t run something or give up just like that after a few months, it just means that the iPhone 6 is indeed faster and more powerful. Apple is pretty famous for putting high-quality camera sensors on their devices, which can rival with most Android flagships out there and outdo them with no issue. The iPhone 5S and iPhone 6 aren’t an exception from this rule. The iPhone 5S comes with an 8 MP iSight shooter on the rear, complete with a dual-LED flash and a 1.2 MP FaceTime camera on the front. The iPhone 6 comes with s lightly upgraded 8 MP iSight camera on the rear, with phase detection autofocus and a dual-LED flash, as well as the same 1.2 MP FaceTime camera on the front. The iPhone 6 has a considerably better sensor built in and comes with extra features likes slow-mo video recording. Definitely a better camera experience, as the speed of the software and hardware combined have been improved considerably compared to the iPhone 5S. When it comes to battery, Apple fans never seem to be satisfied with the battery life on their gadgets. That’s because Apple tends to sacrifice the battery in favor of design, and users are starting to voice their opinions about this aspect, saying that they would rather have had a thick iPhone 6 Plus with a massive battery than a thin one which slips out of their hands. Truth be told. Now the iPhone 5S has had issues with battery life, but iOS 8 seems to have addressed that issue a bit and users of the handset are reporting improved battery life after the update was installed. You get a rather small 1560 mAh battery in the iPhone 5S, while the iPhone 6 comes with an equally small 1810 mAh battery. Seeing as flagships of similar size go way over the 2000 mAh mark when it comes to battery units. 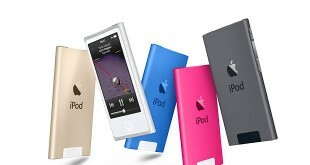 we find this as a major flaw in Apple design. Both the iPhone 5S and iPhone 6 come with TouchID, but only the iPhone 6 has the NFC chip that can be used to access the Apple Pay mobile payment platform. Apple Pay hasn’t kicked off properly, as mobile payments aren’t too popular yet, but sources say that the platform will certainly end up leading in the future, once people get used to the thought of running around without their wallets. The iPhone 5S is a better choice if you are on a tight budget and need an urgent upgrade, as it costs about $500 for the 16 GB unlocked version, $530 for the 32 GB unlocked version and about $600 for the 64 GB unlocked variant. The iPhone 6 isn’t too far ahead, though, the 16 GB setting you back $700, the 64 GB $850 and the 128 GB unlocked version about $1000. You’ll get cheaper deals on the iPhone 6 if you buy they straight from Apple, these prices reflecting the average retail price. As you can imagine, you still have to scrape up quite a lot of cash to buy the iPhone 6, so it’s definitely a premium upgrade compared to the iPhone 5S. The bang for buck winner here is currently the iPhone 5S, even though it lacks a couple of things and is outdated in others. The iPhone 5S is certainly not outdated when it comes to performance, but the small display and battery, as well as limited functionality compared to the iPhone 6 make it the inferior smartphone of the year, when compared to the iPhone 6. Even though display preference is entirely subjective, based on current trends and statistics about what kind of smartphones people all over the world prefer, most say they would rather have a 5 inch display than a smaller one. That’s because design and hardware have changed in the past year so that they can allow for a small footprint of a phone and a large display (screen to body ratio). Small displays no longer seem to be as viable as larger displays and the iPhone 6 fits right in there, unlike the iPhone 5S.